The Laredo, Texas, UFO Crash is a case in which at least two U.S. military aircraft allegedly chased a 90-foot diameter silver disc-shaped UFO across Texas before watching the object crash approximately 30 miles south-southwest of Laredo, Texas, on July 7, 1948. U.S. servicemen were reportedly dispatched from a nearby military base to cordon off the UFO crash site until a special U.S. retrieval team arrived to examine the wreckage and carry it away to a military base in San Antonio, Texas. Supposedly, the badly burned body of a non-human entity was recovered from the crash site. Much has been written about the strange body found in the Laredo UFO crash remains. He has been derisively called "Tomato Man" by the usual detractors in such cases. The fact is, this body was reportedly photographed in the remains of the UFO that came down in the crash. U.S. Secretary of State, General George C. Marshall, reportedly intervened directly with the Mexican Government and obtained permission for U.S. Army personnel to recover the remains of a U.S."Special Test Vehicle" that had gone out of control and crashed in Mexico. Col. John W. Bowen, USAF (Retired), then Provost Marshall at Cars-well AFB, was sent over to take immediate charge of cordoning off and controlling the area. The bulk of the residue was picked up on big Army Transporter Trucks and hauled to San Antonio Air Depot for study. But before removal, a special photographer with a very high security clearance was flown down from White Sands Missile Test Genter in New Mexico in a light weight, special slow-flight photo-liaison airplane. As soon as a complete set of 8"x1O" prints were made, Commander Smith took them and left for Washington and the photo people never saw him again. The source of the two photos furnished claimed he had 40 negatives in all showing this crash scene. "What that team observed and photographed was an unearthly-shaped craft made up of earthly-looking debris. The basic structure looked as if it could have been built by earthly hands. Things were badly burned by the time the photographers got to the site, but they noticed a complete absence of any type of wiring, rubber, glass, plastics, wood, or paper products. "Our source noticed what was some supportive structures, which were held together by what appeared to be conventional bolts but when "the mechanics attempted to unscrew them with wrenches, they would not turn at all. They had to be eventually chiseled off and the metal was very hard, The Army was using carbide and diamond drills and diamond saws for the final disassembly. There appeared to be two kinds of metal involved. Ihe first and most abundant could not be cut by the oxy-acety-lene cutting torches brought in. Ihe second immediately began burning when the cutting torches were used on it. "The structural skin of the craft was apparently blown away in the explosion when the device crashed as the whole valley was littered with fragments of what appeared to be foil, very much like our cigar-rette packages, only much harder. You could not bend the material - before anyone could leave the site, the MPs searched them and confiscated all fragments that had been collected. "As best the source could ascertain, the craft was nearly perfectly circular and was about 90 feet in diameter and about 28 feet in thickness at the center and tapering off to about 5 feet thick at the perimeter. "There appeared to be 5 or six levels in the center of the craft and they were told some sort of instrumentation and machinery were removed before they had arrived. No propulsion system or mechanism was apparent to the source. "There was only one body, and it was badly burned at that, still in the structure. Our source photographed it in place in the structure as best he could with the intense heat from the still smouldering remains and the burning hot sand. 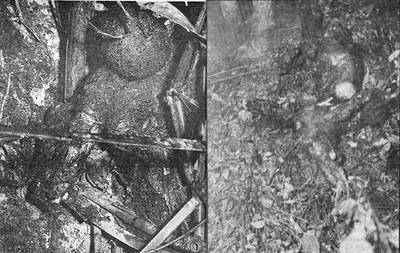 After they had taken photos of the entire scene and attempted to use multiple flash guns and a tripod to record the overall scene from a nearby hillside, the Air Force crash and rescue firemen on the scene dragged the body from the craft and put it on a nearby bank so they could photograph it away from the intense heat. "During their briefing, before photographic work began, one of the team members asked what this was and where it came from. He was told not to ask. An Army Captain who assisted them said the little fellow we were photographing did not come from this Earth. "They only saw and photographed one body, but rumors were floating around the site that two or more creatures had been blown out of the vehicle and were captured and taken away injured severely but still alive. Our source said he had no confirmation of this aspect of the case. "The body they photographed was 4' 6" long. Its head was extremely large for the body size by human proportions. The eyes were gone from the fire, but the eyesockets were much larger than in humans and were almost wrap around as if to give 180 degree vision. There were no visible ears or nose but there were openings where ears and nostrils would have been in humans. There were no lips and the mouth was just a sort of slit with no teeth or tongue. There were two legs of normal proportions with short feet having no discernible toes. The two arms were longer than in humans and the hands had four claw-like fingers each with no apparent thumbs. The arms and legs appeared to have joints in approximately the same places as in humans. "There were two Army doctors that arrived on the morning of July 8th and they made a superficial examination of the body. Cur source listened to them while taking photos of their work. There was no teeth or tongue in the mouth and no apparent duct connecting the mouth to any ^uTd of digestive system. There was no reproductive organs visible by human standards. The most remarkable thing he overheard was that no stratified (sic) muscle fibre was discovered in any of the extremities. The tissue, which was gray in color was extremely smooth and the doctors compared its consistency to the tissue of a human female breast. They said that the bone structure in the extremities too was more complicated than in humans and speculated that motion may have been accomplished through the supporting bones instead of muscles. The enire abdomen was encased by a rib-like structure all the way to the hips. The doctors were amazed that the right arm extremity had a metallic joint at the elbow, No external examinations were made at the site. "The hands each had four digits, longer than human fingers,and they tapered to an almost claw-like appearance at the tip. There were no opposing digits like thumbs. There was no visible evidence of toes and the feet came to a blunt point. The body appeared to have been clothed in a metallic-like material, most of which had been burned away. "The doctors said there was no evidence of hair growing on the head or other areas of the body as they found no immediate evidence of hair roots. The only fluid found in the apparent veins in the extremities was colorless with a slight green cast and a strong sulfurous odor. "Our source noticed a strong sulfurous odor and an ozone smell when working around the burning structure. In May 1980 the contact sent a second negative shewing the body it lay in vegetation on a slope. That one was also examined and and found to be equivalent to the first. Now there were two photos. On August 22, 1980 the photos were released to the Associated Press in two areas and to newspapers and broadcast stations. After the release, most of the reaction was that this was a hoax though other photo analysis concurred Kodak's previous conclusions. As well, MARCEN was looked upon as the party responsible for initiating the ruse. Texas Monthly magazine recently included the Laredo UFO Crash on a list of the eight most significant UFO cases in Texas history. Interestingly, this case is said to have occurred almost exactly one year after the more famous Roswell UFO Incident. Rumors about this case first began circulating in the 1950s, although details were not widely known until 1977. This case shares similarities with the Del Rio, Texas UFO Crash of 1955 and the Coyame UFO Incident of 1974, both of which reportedly also occurred along the Texas-Mexico border. I stepped out back to have a cigarette and it was before daylight savings, so it was very dark still at 8 PM. From my yard I can see many flights preparing to get into their landing paths as O'Hare is east of me, but this was different. Looking EAST from Carol Stream to what appeared to be in the direction of O'Hare, there was a cluster of bright lights in a horizontal line that remained stationary, bright, and flashed red and orange at this point (almost spinning), some moving in and out of vision and some staying, but the ones that disappeared returned to sight after just seconds. For the most part they stayed in a horizontal line or moved to a semicircle formation with some disappearing and returning and some disappearing all together. But there are consistently 2-3 bright, glowing, pulsating orbs that just didn't move at all. Assuming they were planes, I continued to watch them to make sure they were moving lower to land, but it didn't happen. The distance from the ground wasn't changing. I grabbed my camera, jumped in my car, and drove about 2 miles East to the mall parking lot where the lights were still there - pulsating and moving in and out of the picture/videos I've included. Still not convinced, or maybe just freaked at this point and amazed that no one else was seeing what I saw, I drove another approx 2 miles east to a parking lot that's on a hill where I was able to get additional shots of the view where these orbs were STILL visible. Being visible from my backyard that night, I've checked every night since at various time to see if it was possibly planes in a holding pattern, but it's not happened since. I hadn't really noticed them spinning / pulsating with the naked eye, but noticed when I viewed the videos. The first video (seen below) was from the mall parking lot (2 miles east of my house) and the second video (not shown) was from the hilled parking lot (4 miles east of my house). I used just a Cannon digital camera and have little skill and apparently shaky hands, but tried to zoom in / out so you can see the landscape. I also have some pictures as well. Keep in mind the line of bright, white lights in the video under the white and orange pulsating orbs are actually street lights. Keep your eye right above them to see the pulsating orbs moving in and out of view (video 2). The picture quality is not very good, but zoom in on the lone, orange orb high above the street lights. Maybe a plane, but in line with video 2 and the orbs. The sky was clear and it was approx 40 degrees. I'm sorry for the quality of the videos, but it was the best I could so at the time. We were watching for the satellite and it was a bright, clear night, full of stars. A craft appeared and floated towards Bishop Airport. A second craft did the same. We contacted the airport about this incident and were given a number to call in Detroit. They were not interested about this and blew my mother off. After this, the next day our phone went dead. We have Comcast cable with Internet, phone, and cable TV. We have had the same setup for around 4 years never with any issues. Only our phone went dead. The cable man said it had something to do with the splitters, but as I am very handy with computers and IT things related, I had checked these myself and there were no issues that I could see. I just recently found this web site and figured you guys would be interested in it. My mother and her boyfriend are the ones who witnessed this, and she would be more then happy to explain it to someone who will actually listen and take her seriously. If anybody else in Michigan witnessed this, it would be great to hear from you and compare notes. However, my mother and her boyfriend did not have the video camera out. Thank your for reading, and good luck with everything you are doing. Hopefully it won't take to long for the government to tell us the truth about this instead of covering up every bit of evidence. Chile's first ever "UFO trail" was established in San Clemente in 2008. Like in the rest of the Americas, UFO spotting is a serious hobby in Chile. But unlike other extraterrestrial-devoted tourism, this scheme is funded by the country's national tourism board. Chile's central region is well known by amateur UFO hunters for alleged sightings of unidentified flying objects. It's also a remote region that the Chilean government is trying to boost in terms of tourism. Their decision to finance the UFO trail seems to have worked; the tourism board has announced a 5.5% rise in tourism in the past year. The trail in question is a 30-kilometre path which crosses El Enladrillado, an enigmatic landscape of 200 perfectly sliced blocks of land, thought by some to be a landing pad for UFOs. To get there you need to travel for four hours on horseback through the Altos del Lircay national reserve, climbing to an altitude of 2,200 metres. 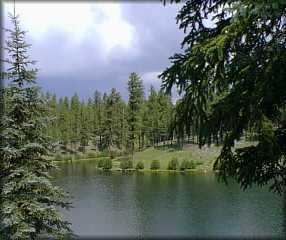 Another hotspot is the Colbun Lake, a few kilometres from San Clemente. Rodrigo Fuenlizada runs a UFO hunters group and has followed the trail several times. UFOs come to this region often because of the abundance of minerals. I think that the trail is interesting because you get to visit the home of the Pehuenche [indigenous people of the Andes] and at the same time have the chance to witness a phenomenon. Media all over the world have reported on the appearance of UFOs in this area." Hugo de la Fuente is head of the San Clemente tourism office, a partner of the "UFO trail". Our tourism office is interested in the trail because this kind of activity sets us apart from any other kind of specialist tourism. We've already organised three �international UFO hunter gatherings' here, and we've seen the number of tourists in our town rise. El Enladrillado is a unique place which is well worth visiting anyway." THE chances of anything coming from Mars really are a million to one, says astronomer Chris Arkless. While Mr Arkless believes the universe is home to other life forms, he said human understanding of travel meant there was nowhere nearby for visitors to Earth to come from. "It would be a bold and foolish person who claimed there has never been or is not still life on Mars but we are talking bacterial forms of life, not little green men," Mr Arkless said. "It is impossible to travel faster than the speed of light, under our current understanding. Alpha Centuri, the closest star is 4.3 light years away so there is nowhere for aliens to come from to hover over Earth. "That does not mean there is not life elsewhere but just that that life could not visit here." 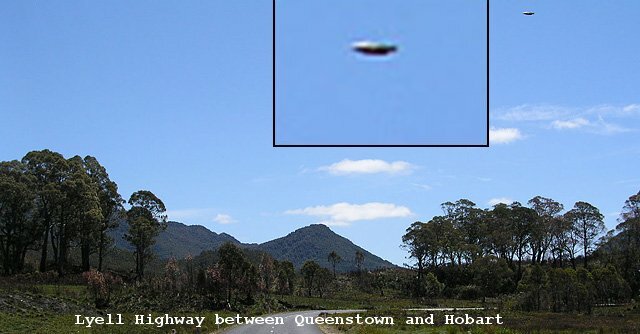 Mr Arkless said a photograph received by News Limited of a UFO in the sky on the Lyell Highway between Queenstown and Hobart was a hoax which had been created through computer technology. Is it a hoax? what do you think? The photograph was allegedly taken on January 3 near the Franklin and Alma Rivers. "It does not look like an aircraft and if you zoom in you can see the pixels are different around the supposed UFO," he said. Mr Arkless said reported UFO sightings came in waves and none reported in Tasmania have been verified as alien craft. In December last year unusual lights in the sky over Hobart sparked a wave of concern that a plane was about to crash but a Tasmanian UFO hunter said it was probably a meteor or space junk. The source of the mystery lights remains unknown and Tasmania Police took dozens of calls from people around the state who saw the lights heading south. 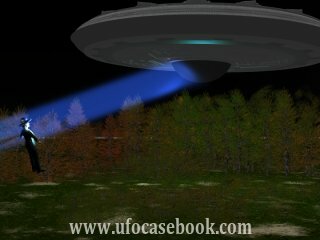 The TasUFO Centre, which has investigated hundreds of sightings since it was established in 1965, interviewed people who saw the lights but did not come to any solid conclusion. 'I am a child of the space age myself and when I was a little kid I joined a local UFO spotting group," Mr Arkless said. "The sightings usually ended up being Venus. "Obviously there are going to be unidentified flying objects in the sky such as unidentified aircraft, but it is highly unlikely any are from outer space." The UFO phenomena is generally given little if any serious consideration by those engaged in credible scientific studies. Without a doubt many so-called UFO sightings can easily be dismissed as misidentified craft, stars, planets, or just plain hoaxes perpetrated by thrill or money seeking individuals. Many books and studies have given us statistics on UFO reports, and roughly about 95% of the sightings can easily be explained away. Considering the great distances between stars, it is very easy to assume that the odds of a visit from another intelligence are extremely low. These assumptions are based, however, upon the extent of our knowledge, and should another race visit us, they would most certainly possess a higher degree of intelligence than we do. We are trying to judge a possibility while handicapped by the limits of what we know today. The 1993 release of the movie "Fire In The Sky" was intriguing to many who had waited for a screen presentation of Travis Walton's book by the same name. D. B. Sweeny and James Garner offered the film veteran actors. Those familiar with the actual story were less than impressed with the film's inability to take the full account to the screen. Those who were not privy to the actual story may have thought it only fiction. There are some great sets, and special effects, but the story is not done justice. 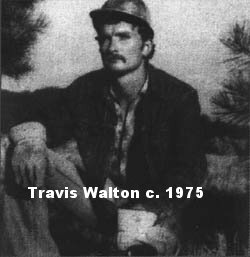 My goal in this article, is to present the facts behind the movie; the real story of the abduction of Travis Walton. I ask only one thing of you the reader, reserve final judgment until you have read all the facts. This baffling UFO case began on November 5th, 1975, in northeastern Arizona's Apache-Sitgreaves National Forest. A logging crew of 7 men were working on a government contract, clearing forest. The men loaded into a single pickup truck leaving work for the day. As they started their journey home they saw, not far from the road, a "luminous object, shaped like a flattened disc." All of the men agreed that Travis Walton, captivated by the sight, left the truck to get a closer look. While gazing up in awe at the object, suddenly a brilliant, bluish light struck him and threw him to the ground some distance away. This event caused the other crew members to flee the scene in fear for their lives. After arguing among themselves, they decided to go back and see if they could help Travis. Returning to the scene, they found no trace of the craft, or Travis. A personal friend of Travis', Mike Rogers, was the crew foreman, and driver of the truck. 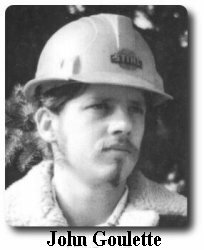 According to Rogers, as the men fled the scene, he looked back and saw a "luminous object" lift out of the forest, and disappear toward the horizon. Rogers and the other 5 workers eventually would take a lie detector test. The men passed the examination, save for one inconclusive, and soon the case exploded into the national spotlight. 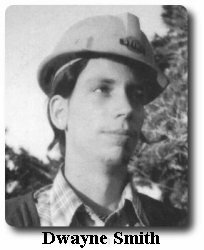 Walton reappeared five days later, confused and scared, with fleeting memories of alien entities, and descriptions of the inside of their craft. He was also subsequently subjected to a number of polygraph examinations. 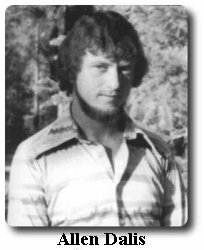 The Travis Walton event would soon become the very first abduction case to be given serious consideration by many credible scientists. His story would force the general public to reevaluate previously close minded opinions on the subject. The six witnesses, Allen Dalis, Dwayne Smith, John Goulette, Kenneth Peterson, Mike Rogers, and Steve Pierce, of this controversial case, described the craft in personal, yet similar terms. Rogers' description depicts the craft as a "large, glowing object hovering in the air below the treetops about 100 feet away." Dwayne Smith described the craft as "smooth and giving off a yellowish-orange light." Additional eyewitness accounts added the following: "unbelievably smooth," "a flattened disc with "edges clearly defined." Walton and Rogers both estimated that the craft was about 20 feet in overall diameter. The details of the event quoted from the investigator's report are as follows: As Walton approached on foot across the clearing, the "UFO began to wobble or rock slightly," and then emitted a "bluish light from the machine... a blue ray shot out of the bottom of that thing and hit him all over," "that ray was the brightest thing I've ever seen." This light sent Walton "backward through the air ten feet," "hurled through the air in a backwards motion, falling on the ground, on his back," "flying -- like he'd touched a live wire." Testimony from Allen Dalis: "During the pretest interview, Mr. Dalis related the following events that occurred on that day. Mr. Dalis said they had finished work for the day and were heading home. It was almost dark. He saw a glow coming from among the trees ahead of them. 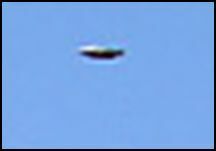 Mr. Dalis described the UFO as being a yellowish-white in color. He said the light emitting from it was not bright, but a glow that gave off light all around itself. Mr. Dalis saw Walton reach the UFO, stop and look up at it. He said it looked as if Walton was standing there, slightly bent over, with his hands in his pockets. Mr. Dalis said the UFO began to wobble or rock slightly and he began to become afraid. He put his head down towards his knees. As he did so, a bright light flashed that lit up the area, even the inside of the truck. He immediately looked towards the UFO. He saw a silhouette of Walton. Mr. Walton had his arms up in the air... Mr. Dalis turned towards Mr. Rogers who was in the driver's seat and yelled for him to "get the hell out of here..."
Sworn testimony by Mike Rogers: "... he was on the opposite side of the truck from the UFO. He had to bend over slightly to view it in its entirety through the truck windows. He described the UFO to be glowing a yellowish-tan color. He could not say if the light emanated from within the UFO, or was a lighting system outside, that lit up the UFO. He did say he could see the shadows of the trees on the ground, around the UFO. He said it was round and about 20 feet in diameter. As Mr. Rogers started to move the truck, a brilliant flash of light lit up the entire area, even inside the truck. It was described as a prolonged strobe flash. He did not see a beam of light emit from the UFO and hit Walton. As the flash occurred, Mr. Rogers turned around in his seat to look at the UFO again and saw Mr. Walton being hurled through the air in a backwards motion, falling on the ground, on his back. At this time, Mr. Dalis and someone else yelled to "get the hell out of here..."
Upon returning to the scene, the crewmen searched briefly through the woods, calling Walton's name. They then proceeded down to the main road and after some debate, decided to call the police and ask for assistance. They were first met by a Deputy Ellison and subsequently by Sheriff Marlin Gillespie, who would later describe the crewmen as apparently sincerely distressed. The officers and crewmen went back up the hill and searched again with flashlights, eventually calling off the search and making plans for a more thorough manhunt beginning early the next morning. The next several days were marked by unsuccessful searches for the missing Walton, including some use of helicopters and dogs. Temperatures dropped below zero the first two nights of the search, creating fear that, if Walton was injured and disoriented, he may not survive. Meanwhile, law enforcement officials were looking for alternate explanations of the event, including thepossibility that Walton had been murdered. Law enforcement, looking for a more believable explanation than a flying saucer, began a thorough investigation of the facts. All six remaining members of the crew were questioned over and over again. Family members and friends were also interrogated. One fact that colored this questioning was that all of the men were unlearned, everyday working people, noted to be a little "rough around the edges." This, of course, is a typical assumption by some that those who have not been successful financially in this world are all liars, cheats, and can't be trusted. 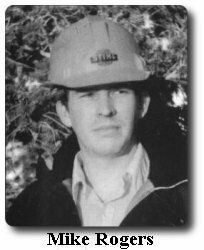 One common theory at the time was that Dalis and Walton had fought, and that Dalis had either accidentally or purposely killed Walton, and hid his body. The problem with this theory was that if a murder had taken place, why would the other 5 crewmen risk the fires of justice to cover for Dalis. A second theory put forth at the onset was that possibly all of the crewmen had been involved in some kind of brawl or argument, and accidentally killed Travis, hiding his body somewhere in the vast forest. If this was true, why concoct a story involving a UFO abduction, being one of the most unbelievable stories one could put forth. Another scenario offered by some was that since the crew was behind on their government contract, they were looking for an excuse to get out of it. Again, why this most bizarre story? In their initial reports, the 6 crewmen had indicated a willingness to undergo any kind of lie detection test to establish their truthfulness. After the second day of searching, law enforcement officials brought in Cy Gilson, a polygraph examiner from the Department of Public Safety (associated with the state police), to test all the crewman. Five of the witnesses passed this polygraph examination, while for the sixth, Allen Dalis, the test was ruled inconclusive (unable to assign a reading). While the successful tests fueled media interest in the case, the inconclusive result for Dalis put some heat on him personally. 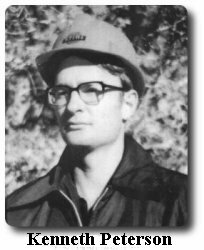 While some of the crew members, such as Rogers and Walton, had been friends long before the forest service brush-clearing contract, the others were only acquaintances, and in the case of Allen Dalis, he and Walton were said to have had some personal animosities between them. If Walton had been involved somehow in a conspiracy to deceive authorities, he certainly left his closest family members out of the loop. 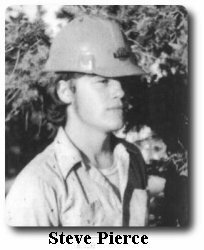 At approximately 1:30 AM on the morning of Nov. 6, crew members Coplan and Rogers went to notify Walton's mother, Mary Kellett, of her son's disappearance. Mrs. Kellett's calm response upon being awakened and told her youngest son had been kidnapped by a UFO was "Well, that's the way these things happen," and then she proceeded to described two instances when she and her oldest son, Duane, had also seen UFOs. Later that morning (approximately 3:00 AM) when Mrs. Kellett told Walton's sister, Mrs. Grant Neff, that "a flying saucer got him [Travis]," Mrs. Neff surprised Coplan with how calmly she also took the news. The rest of that day was taken up by an extensive search of the area where Walton had disappeared. Curiously absent from the site was any physical evidence of anything happening, in spite of the "explosive" force of the blue-green beam. No blood, no shreds of clothing, no evidence of the blast effects was found by any of the nearly fifty searchers involved. Neither was any evidence found of any violent confrontations among the crew members. There was no trace of Travis Walton. For as many UFO proponents there are, there are that many and more debunkers. The authorities tried to keep the scene of the incident for serious forensic examination, but the mass influx of people, not only local, but world-wide, made this an impossibility. The crewmen's stories were treated with mixed opinion. Some marveled to hear what they had seen, and some called them "pranksters" and "liars." Continue with Travis Walton Video, Part 2. 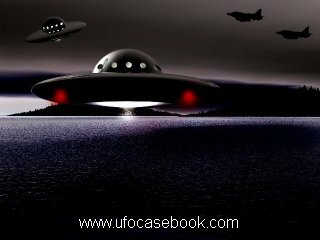 THE UFO CASEBOOK Domain is owned and operated by Casebook Productions.